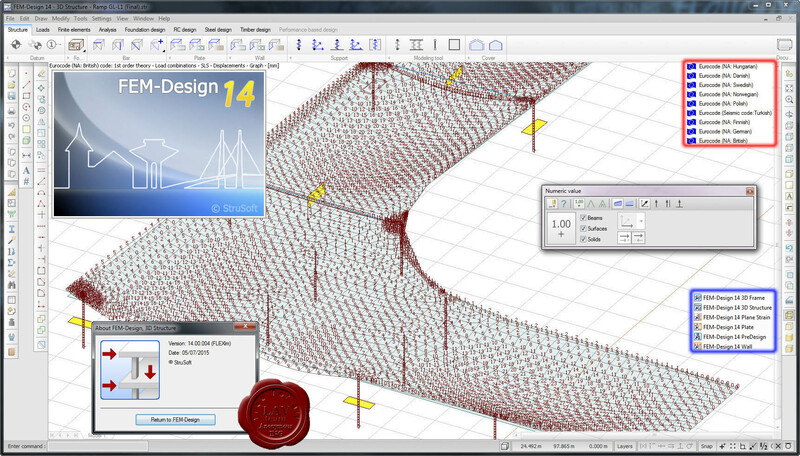 The Auto Design feature helps to choose the most efficient cross-section or reinforcement arrangement. 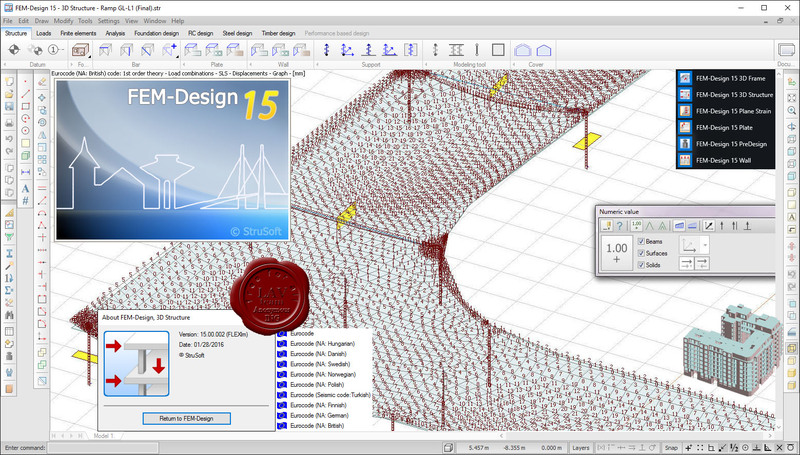 Results are shown in a variety of 3D-graphs, contour lines, color palettes or sections. Auto-updated project reports can be created from within the built-in FEM-Design documentation editor.